Looking for 5 for $10 deal. Just got Menards ad ... They have 5 for $9.00 in- store only today, Saturday and Sunday. Lowes had $0.99 bags here 2 weeks ago. Can’t believe it’s April...and that it’s spring break! My plans for the week are sleeping in. OMGosh.... Ours didn't as far as I know. That's a great deal! Really wanted to lock this thread at midnight and “end” the contest as an April Fool’s joke. Was going to offer you all 10% off a t-shirt as a make-good lol. I’m pretty sure Home Depot’s Spring Black Friday sale will start this Thursday. Hope everyone had a very Happy Easter! Happy belated Easter Everyone! checking in for April! Heeeeeere is my April post! I hope everyone had a wonderful weekend/holiday. Doesn't look like we lost anyone in March. Well well welll....... hope everyone had a wonderful Easter. I am here and still stuffed from yesterday. Welcome to my birthday month, people! 12 shopping days left! Ha! God's April Fool's joke on us was a snow shower that started just as our outdoor sunrise service began at my church yesterday morning. Go figure. Needless to say, we moved the service inside after a few minutes, since it *was* awfully chilly that early. Down 48 lbs and keeping it going. Still quite a ways to go, but still feeling good and excited for the warmer weather/later sunsets so I can really get back to being more active and really get that number dropping! (Typically I walk/run outside after work, really don't feel safe doing so in my area after dark, which means pretty much all winter unfortunately.) I've already been out a few times. 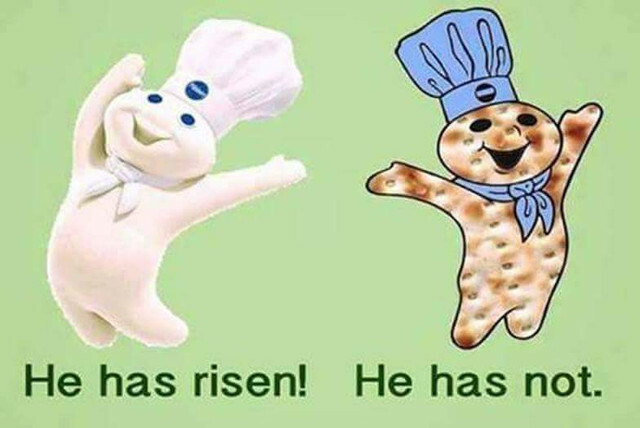 Happy Easter season!. Feeling guilty reading about everyone losing weight and getting in shape as I sit here working and eating leftover Easter candy. I am on board and will be ordering my 2018 Black Friday shirt in at least a size or two smaller than last year! Starting...tomorrow. Finally, to bring this thing back on topic, when is the best time to shop for a snow blower? Given the snowfall this winter, there are few on store floors by now. Are there good preseason sales? I don't recall any Black Friday deals, but I have not been looking. Checking in for the month! I hope everyone had a great Easter! There was a nice coating of fresh snow on the ground in New York City this morning...welcome to April. But I also see some buds starting to grow on a tree out my windows. I am looking forward to some springtime (any day now). Watching Wrestlemania this weekend and shopping the next! Hope everyone had a wonderful Easter. I have a busy month ahead of me...My little sister gets married, my oldest daughter has her senior prom, and she also has her last high school art show. I am already tired and it is only the 2nd..lol. Hope everyone has a wonderful April. See yall next month! Just wanted to give a shout out to my Wildcats for a record setting Big Dance! I'm one proud alum! Sitting at home in a Winter Storm Warning. Up to a foot of the white crap. I love all of the seasons, but snow in April is just wrong wrong wrong!!!!! So how about another Truck Stop Wendy's episode. This one occurred on an overnight shift with two other employees. I was mopping the floor in the kitchen when a guy was being waited on by my shift boss. The other employee, and older guy was making the food. The boss was talking to the customer and he wasn't rushing for the food but mentioned he was a tour bus driver and his boss would fire him if he found out they stopped (he was sleeping on the bus). All of a sudden the food maker start walking past me after he finished up making the food to do whatever task was next on his list. Suddenly the boss is on our headset and tells us who the guy is working for, but not to go out back and look so the guy won't get in trouble. Well the food guy didn't hear that part and starts busting out the back door as I tried to stop him. Suddenly I hear him yelling at the top of his lungs at like 2 AM on the back dock, "YO FRAMPTON!" I finally got him to stop after 3-4 times, but I admittedly would have like to seen him too. The story itself I think is a good story, but to be able to add I got to meet Peter Frampton would have been icing on the cake. I don't know if he ever heard my coworker or what happened, but it was a fun night. It was the same night I think the lead singer of Lonestar came in and ordered food, but I missed meeting him as I had to do a grease run. I'm not sure I have any other celeb stories, but maybe I'll think of something next month. Home Depot has their Spring Black Friday ad posted on their site under “Local Ad”. Starts tomorrow. Time to pick up mulch (as I stare outside at snow that fell overnight...). Lowe's has started too. Mulch, mulch, mulch. Happy April Everyone! Moving back to the Midwest in a couple months and just cannot wait! Toys r' Us was super nice and gave me load of free boxes. Love FREE!